EPF reveals its top 30 equity investments in Bursa Malaysia quarterly since March 2010. The aim for the report is to promote greater transparency and to reassure members that investments undertaken are in the best interest of growing their retirement savings and in accordance to best practices in investment and governance. When compared to Q3 2013, the most notable change was IJM Corp Berhad reappears in the top 30 while WCT Berhad dropped. In the same period, EPF increased their share in Public Bank Berhad, Tenaga Nasional Berhad & United Plantation Berhad more than 1% while increased their shared in AMMB Holdings Berhad by close to 1 percent. 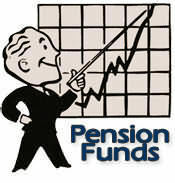 Generally, EPF reduced their investment in most of their holdings. The table below are the tops 30 Equity Investments in companies listed on Bursa Malaysia as of 30th September 2014.